At first glance, space appears to be barren and empty, but we are continually learning more about how this is not the case. The interstellar medium (ISM), as it is known, is actually a complicated mixture of dust and exotic chemical compounds. 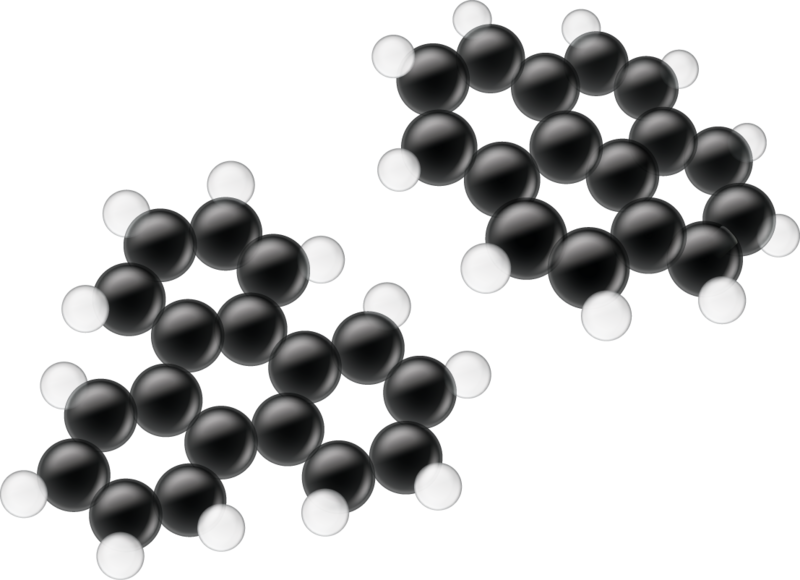 Amongst these molecules are polycyclic aromatic hydrocarbons (PAHs), a class of carbon-containing molecule which are one of the candidates for the original building blocks of life, due to their abundance and durability. PAHs can survive the harsh environments found in interstellar space and newly formed planets, and are seen abundantly throughout the galaxy. However, despite this, their formation and evolution is still an active area of research. PAH molecules consist of a series of fused molecular rings, each containing six carbon atoms (see Figure 1). While the simplest of these molecules may be quite small, the largest can contain hundreds, or possibly even thousands, of atoms. In interstellar space, ultraviolet photons excite these molecules. This causes their chemical bonds to vibrate, emitting a spectrum of light at infrared wavelengths specific to the size and structure of the molecule. 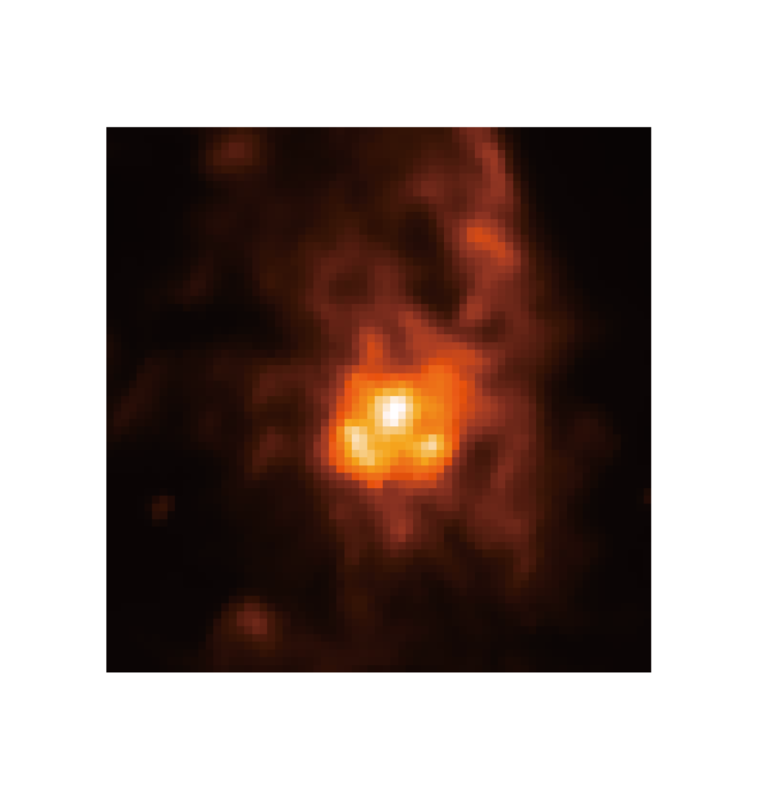 Using the Infrared Camera (IRC) onboard the AKARI space telescope, Mori and her colleagues investigated the spectra of 36 star forming regions (known as HII regions) in the Milky Way galaxy (for spectra, see Figure 2). Figure 1: An example of PAHs. These molecules are made of hydrogen atoms attached to fused aromatic rings. White and black spheres indicate hydrogen and carbon atoms respectively (provided by Dr. Mark Hammonds, the University of Tokyo). The scientific team confirmed the existence of a faint emission band centred around 5.25 micrometer, associated with carbon-hydrogen bonds within PAH molecules. This emission can be useful in helping to identify the sizes of PAHs in a given region of space. While it has been hypothesized before, it had never been studied in detail. In addition, PAH molecules show a strong emission band around 3.3-3.6 micrometer, which can give a lot of information about specific molecular structures. Observations of this suggest that a strong UV radiation field may cause "erosion" of PAH molecules. Indeed, according to the ISM environment inferred by spectral variation, the infrared color varies. This suggests that the relative amount of interstellar dust and PAH molecules must vary significantly across different regions of the galaxy. Interstellar molecules are often studied using infrared light, but this is difficult to do from the ground. Earth's atmosphere blocks a lot of infrared light from ever reaching the surface of our planet. Because of this, many of the most useful infrared observations are made from orbit, using space telescopes like the Infrared Space Observatory, Spitzer, and AKARI. To date, AKARI has been responsible for some of the highest sensitivity observations ever made at wavelengths between 2.5 and 5.4 micrometer. This data has recently been released publicly as a spectral catalogue of Galactic HII regions. This is presently the largest and highest sensitivity catalogue of its kind ever made. This work is expected to be useful for investigating the physics of interstellar space, particularly relating to interstellar dust and the lifecycle of dust in the universe. Despite the fact that the AKARI mission officially ended in November 2011, the data it gathered remains some of the best quality data in the world, and its legacy remains in research such as this. In a statement, Tamami Mori said, "This study demonstrates the power of the AKARI near-infrared spectroscopy in leading cutting-edge astronomy, and it covers only a part of the legacy of AKARI. We will continue analysis and further investigation will be presented. In the future, we would like to develop the findings of the AKARI satellite to guide projects of the second-generation infrared astronomical satellite, SPICA". This work by Mori et al. has been recently published in issue 784 of the Astrophysical Journal, co-authored by Takashi Onaka, Itsuki Sakon, Ryou Ohsawa, and Aaron Bell at the University of Tokyo; and Daisuke Ishihara at Nagoya University, and; Takashi Shimonishi at Kobe University. This work is supported in part by a Grant-in-Aid for Scientific Research from the Japan Society of Promotion of Science (JSPS). 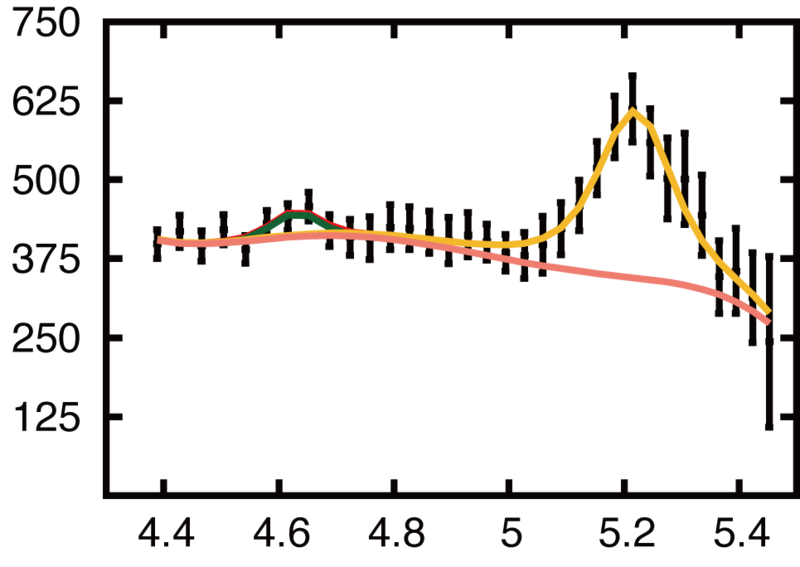 Figure 2: Typical spectra from present observations (left and center) and a 9 micrometer image which gives perspective on the target region (right, provided by the AKARI MIR All-Sky Survey). Spectra were extracted from the very small blue-box in the 9 micrometer image. For calibration purposes, two different kinds of observation modes were done separately, providing two kinds of spectra for the same area (left and center). The spectrum at the center cuts off below 4.4 micrometer. The term "HII" comes from hydrogen's second ionization state. An HII region is a place where the interstellar medium becomes ionized. A massive star emits strong ultraviolet light, freeing electrons from the surrounding hydrogen gas molecules. In this case, "color" actually means a ratio of brightness at two different wavelengths. This provides a good index for the nature of materials, rather than just amount of materials.